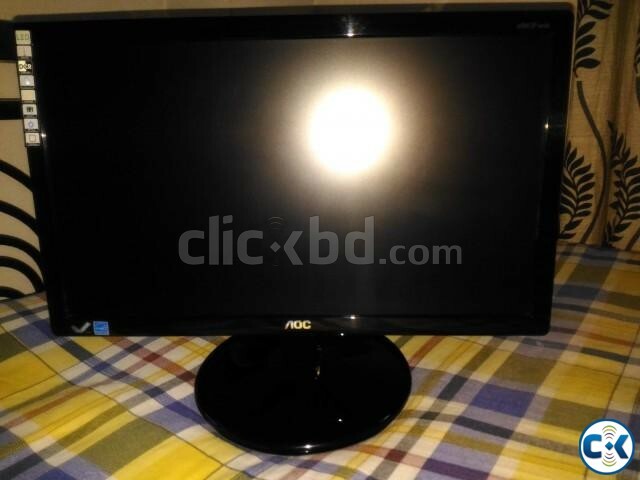 AOC LED 19 inch Touch LED Monitor with TV card and Speakers. Made in USA. Genuine Product, Original Product. Monitor er resolution khub ei high and pics, video onek real ashe. 1. Eta World er shob che chikon monitor. Pic ei dekte pacchen mobile er moto slim screen etar. 2. Slim hobar reason er jonno ei monitor e kono heat hoi na. Ei LED kono heat kore na. 4. Wall e lagano jai. Pochondo hoye thakle call diben. Baki kotha phone e hobe.